Choosing the right cookware makes a big difference to your cooking and even your dining experience. 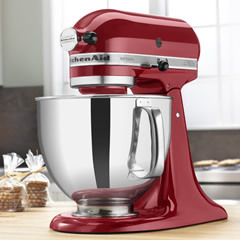 Stellar is a manufacturer of premium quality cookware, knives, utensils, and electrical items. They are trusted and used by commercial kitchens and chefs, as well as keen home cooks. Their products are designed to last, and to offer high quality and reliable cooking in any circumstances. The company uses high grade stainless steel, as well as materials like copper and soft rubber, to create pieces that are not only effective for cooking with but are also comfortable to use, reliable, and durable. They have collaborated with celebrity chefs and big names in the cooking industry. One example of this is the James Martin knives collection. 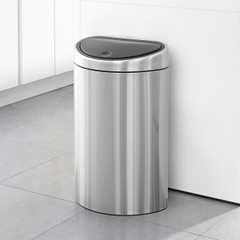 This includes new all-metal collections that are strong, stay sharp for long periods of time, and they are perfect for use at home as well as in professional kitchens. The pans and Stellar cookware are also made from stainless steel, can be used on induction cooking hobs, and are designed to last for years. At ECookShop we have a huge selection of cookware, kitchenware, and utensils from Stellar. 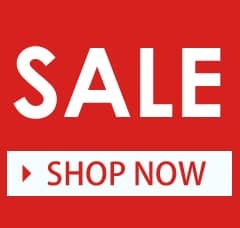 Browse our selection of Stellar kitchenware, call us with any questions you have about the products we sell, or call into our Clitheroe based Dawson's Department Store. 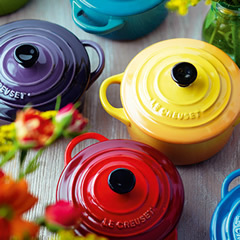 As well as Stellar kitchenware, we also stock items from some of the biggest names in the industry - Villeroy and Boch, Le Creuset, Denby Pottery and more. If you spend more than £50 with us on a single order, we will deliver to your UK address completely free of charge. 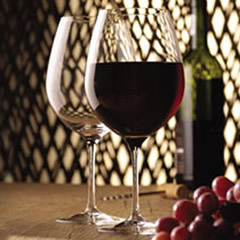 Stellar cookware is a manufacturer of high quality kitchenware and cookware. They sell products to the commercial market, for use in busy and demanding cooking environments, as well as to individual buyers that want top quality utensils, pans, and other items. 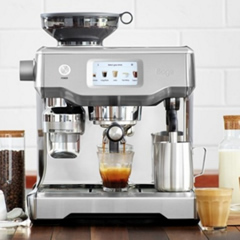 The use of high grade materials, like stainless steel, their collaboration with well-known chefs like James Martin, and their production of genuinely useful kitchenware items has helped propel the brand to become of the most popular names in the UK market. 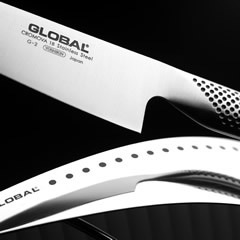 To many chefs, a high-quality knife is the most important tool they have, and they will rely heavily on the use of a chef knife. With that said, they will also use the most appropriate knife for a specific chopping, slicing, or cutting job. If you want to greatly improve your cooking experience, then investing in a knife block or a knife set will greatly improve your cooking experience. Using the right knife for the job not only makes it easier, but it can also save your hands and your fingers. 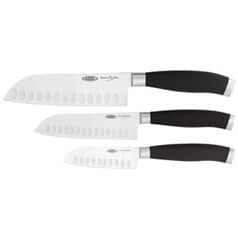 A Stellar knife set includes a chef's knife, which is a multipurpose knife. It also includes a paring knife, which is equally versatile but smaller and easier to handle than a chef's knife. You also get a carving knife, a utility knife, and a bread knife. Whatever you need to cook, you will be able to glide through more easily with this great quality set of durable and long-lasting knives. You can also buy a Stellar knife sharpener. Keeping your knives sharp is just as important as ensuring that you buy good quality knives. A blunt knife will tear rather than cut, and while it might still cut through some softer items, you will find it especially difficult when trying to cut through more difficult items and foods. Stellar cutlery has also developed a reputation for being high quality and attractive. 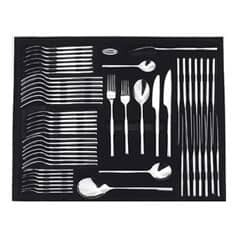 The 44-piece set consists of 6 each of table knives, table forks, soup spoons, teaspoons, dessert spoons, dessert knives, and dessert forks, as well as 2 serving spoons. The set is made from 18/10 polished stainless steel. This is food grade stainless steel and the high level of nickel helps to further improve the rust resistance of the material; especially useful when washing cutlery, and it means that you can continue to enjoy great looking Stellar cutlery. We also have a large selection of cookware from the brand, including Stellar saucepans and a host of other Stellar pots and pans. Choosing the right Stellar pan set means that you will always have the right pan for any cooking job. One of the great features of Stellar pan sets is that they can be used on any hob type. They can be used on gas and electricity, but you can also use Stellar pans on induction hobs. Induction hobs are becoming increasingly popular. They transmit energy from the hob directly into the pan. This is more efficient because very little energy is wasted, whereas there is energy loss when using either electricity or gas hobs. They are also safer because the hob itself does not get hot. As soon as you take food off, the hob is safe to touch. However, to use induction hobs, you need ferrous pans in order that they will be able to transmit the energy from the hob to the food, which will also cook more evenly. Aluminium and copper pans will not heat up on induction hobs, whereas stainless steel is one of the materials that are ideal for use on this type of cooking surface. As well as being able to buy a stainless steel Stellar saucepan set, you can also buy pan sets that have been designed specifically for use on this type of hob. Buying saucepan sets means that you receive pans in a variety of different sizes and some sets also include a frying pan. Stellar saucepan sets typically include soft rubber handles. The rubber does not conduct heat, which means that you can comfortably pick the pans up even when they have been on the hob for a long time. 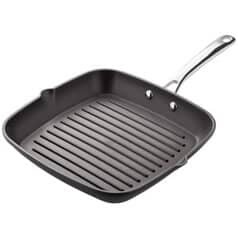 Triple layer pans have an additional non-stick layer, which makes it easier to clean the pans. As with all non-stick pans, if you cook on too high a temperature, food may still stick, but you should be able to easily clean the surface simply by boiling some water in the pan on the hob. Buy utensils and accessories to match your pans and cutlery, and that have been designed by people with experience in the kitchen. 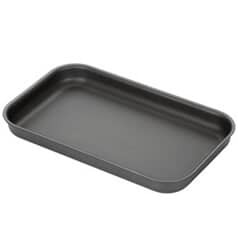 Roasting trays and muffin tins, roasting trays and flan tins are made from anodised metal. These are lightweight but strong, and the anodised coating helps ensure a uniform distribution of heat around the pan and its contents. 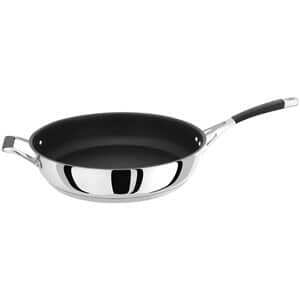 Anodised metal is non-stick and non-toxic. It has a longer lifespan than other materials, and is rust resistant. It is also very easy to clean, which makes it a functional and beneficial addition to any kitchen cupboard. Stellar cookware and kitchenware is highly regarded for its durability and strength, and for its reliable and effective design. It is good looking, long lasting, and because it is made from high grade materials like anodised aluminium and 18/10 stainless steel, it will continue to offer you a superb cooking experience for many years to come. It is relied upon by professional and commercial chefs, and the company also sells a range of utensils, accessories, and cutlery. Getting the right cooking equipment won't necessarily turn you into an incredible chef, but it will improve the cooking experience and help to ensure that you can create better dishes. It will enhance your kitchen skills while minimising cleaning time and eliminating the risk of your kitchenware becoming too easily or quickly damaged. What's more, it is also competitively priced so that you don't have to spend a fortune to enjoy a good cooking experience. 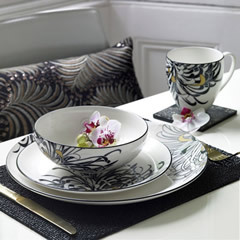 ECookShop is proud to stock and sell Stellar kitchenware. Browse the items in our Stellar saucepan sale. Look at our pan sets, cutlery, and kitchen knife sets. Feel free to call us or call in to Dawson's Department Store in Clitheroe if you have any questions or want to see our full homeware range. Alternatively, buy through our secure online ordering system. If you place an order of £50 or more, we will even deliver your order completely free of charge to any UK address.